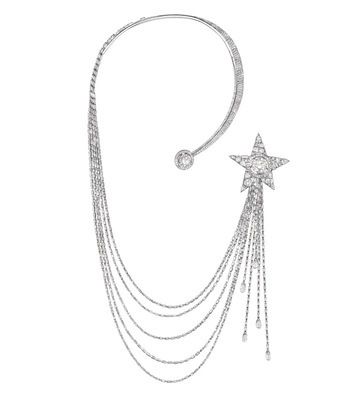 In 1932 Gabrielle Chanel, known to all as Coco, announced her first collection of diamond jewelry. 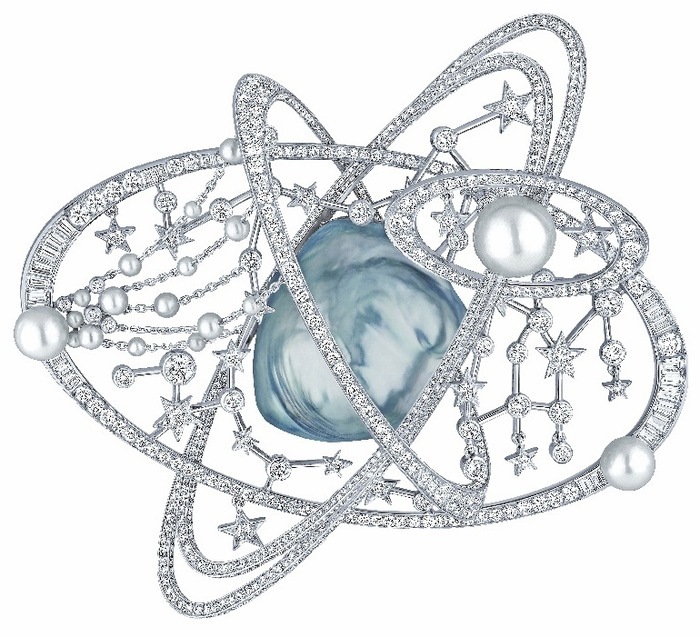 To commemorate that, the current incarnation of Chanel Joaillerie, which was formed in 1993, will be releasing a large collection (80 pieces in total) in July entitled, simply, 1932. 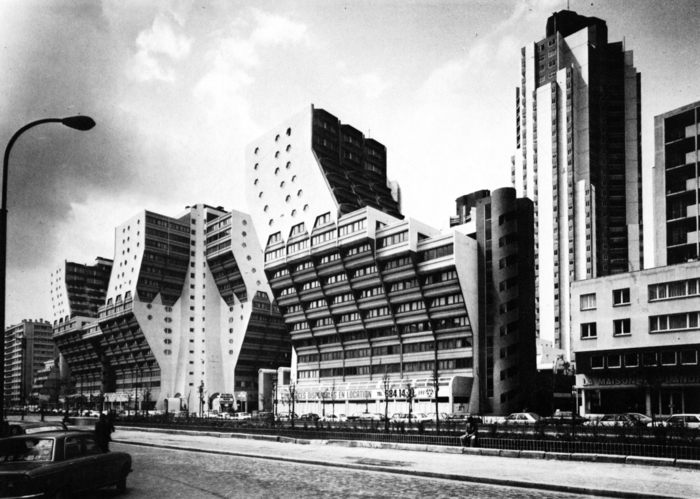 The designs take their inspiration, so the press-release says, from the motifs and symbols held dear by the eponymous designer. The first 4 pieces released all have celestial themes. 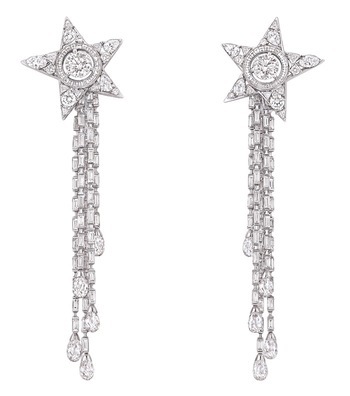 The first three pieces are all from the same family, the Etoile Filante, or shooting star. 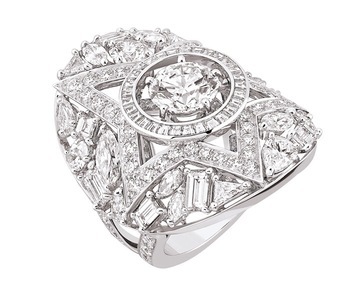 All are 18kt white gold set with white diamonds. My favorite piece of the initial release was this broach, the Céleste, centering on a massive 79ct blueish baroque Austrailian pearl. A closeup of the massively complex RMCC1 movement. 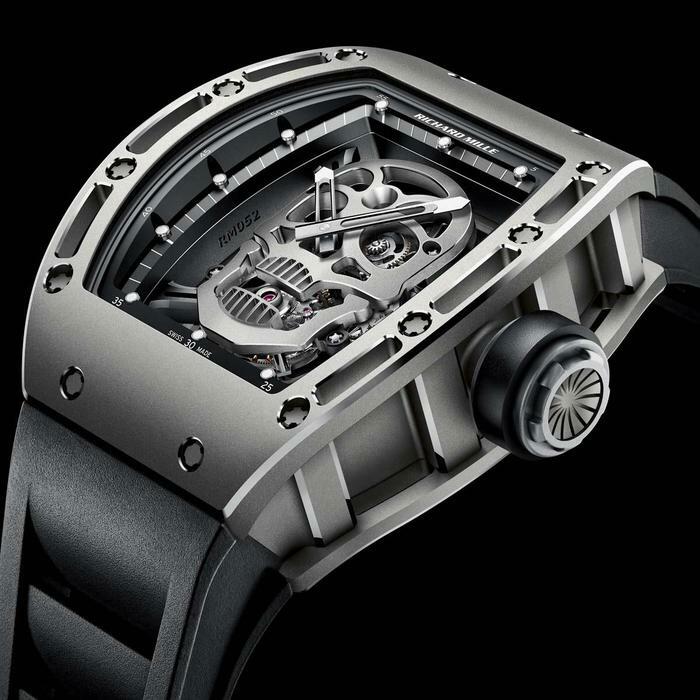 It has a split-second chronograph, a tourbillon, both torque and power-reseve indicators as well as RM's unusual push-button mode control. 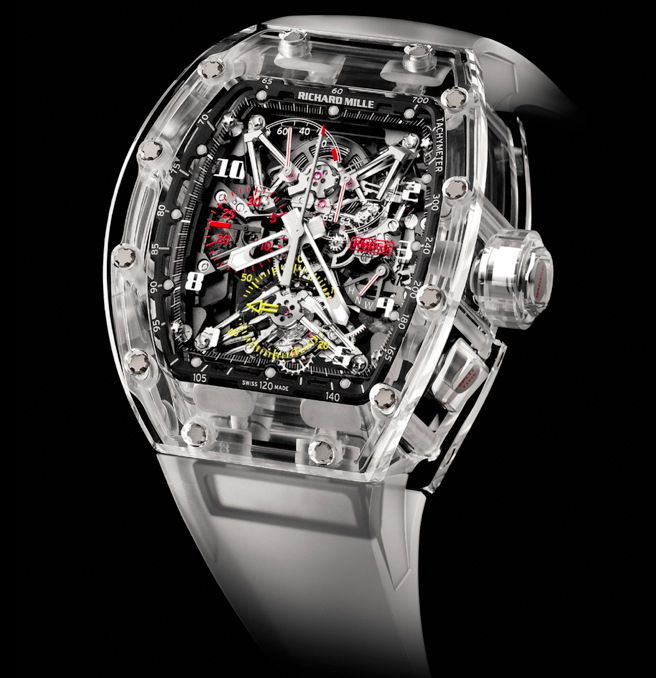 The first of three high-end watches released by Richard Mille (previously mentioned), this one is based on their standard tourbillon movement, as seen in the production RM002 and several of their limited editions. 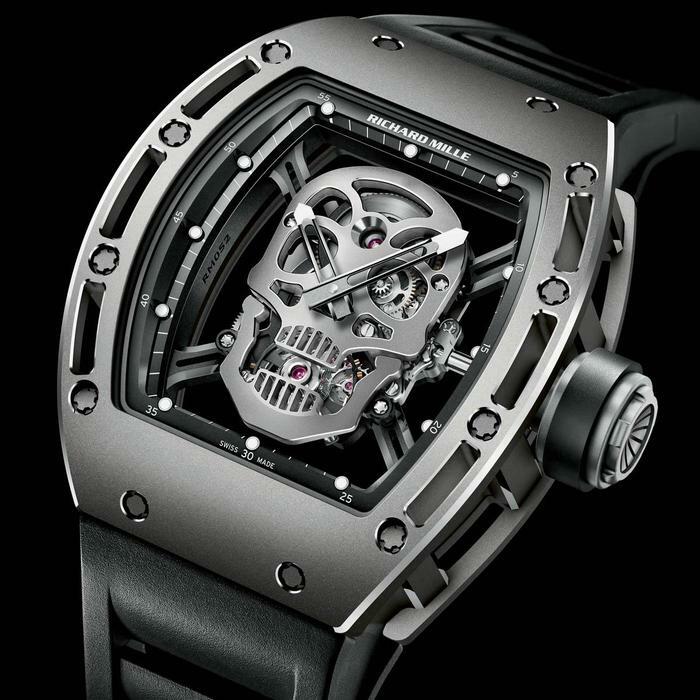 The skull (apparently they got the Damien Hirst memo 2 years late, maybe they'll have a spots piece in a year or 2), isn't an overlay on the movment, but the actual plate of the watch, with the pivot of the tourbillon cage clasped in his teeth. At an angle you can really see the depth of the case, 15 will be sold in Titanium and 6 more in either rose or white gold. 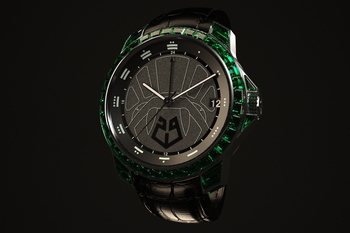 Even the top plate, seen through the back of the watch is skull shaped, though in this case more like the bottom of a skull then the iconic "face". Yes the 2010 award is given at the beginning of 2012, they take an entire year to look over the coins that were issued with 2010 dates. 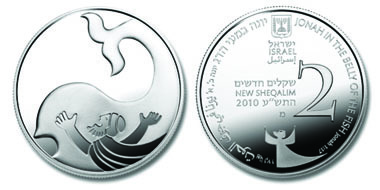 Anyway, the final award "Coin of the Year" has been awarded to an Israeli 2 Sheqalim (technically New Sheqalim, but nobody uses that term) depicting Jonah in the Whale. On heads there's all the usual stuff, date, country, denomination as well as the text "Jonah in the belly of the fish (Jonah 2:1)" in Hebrew, Arabic and English. At the bottom is a small figure of Jonah in prayer. On the back Jonah is shown insconced in the, he is a negative space in the large frosted plateau of the fish. 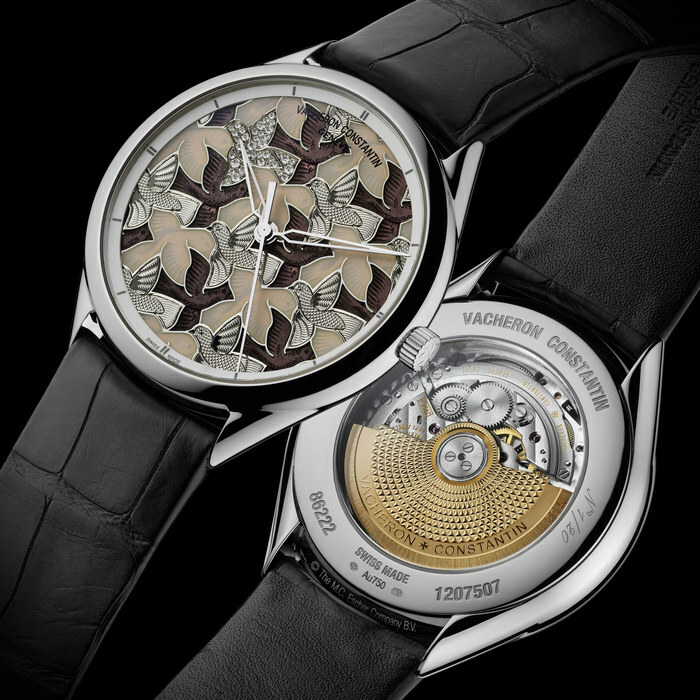 Vacheron (previously mentioned) released a M.C. Escheresque watch for the 2011 Only Watch auction, and has now released 3 more as members of their Métiers d'Art collection, Les Univers Infinis. Well 2.5 more, the Dove design is the Only Watch dial with different colors of enamel. 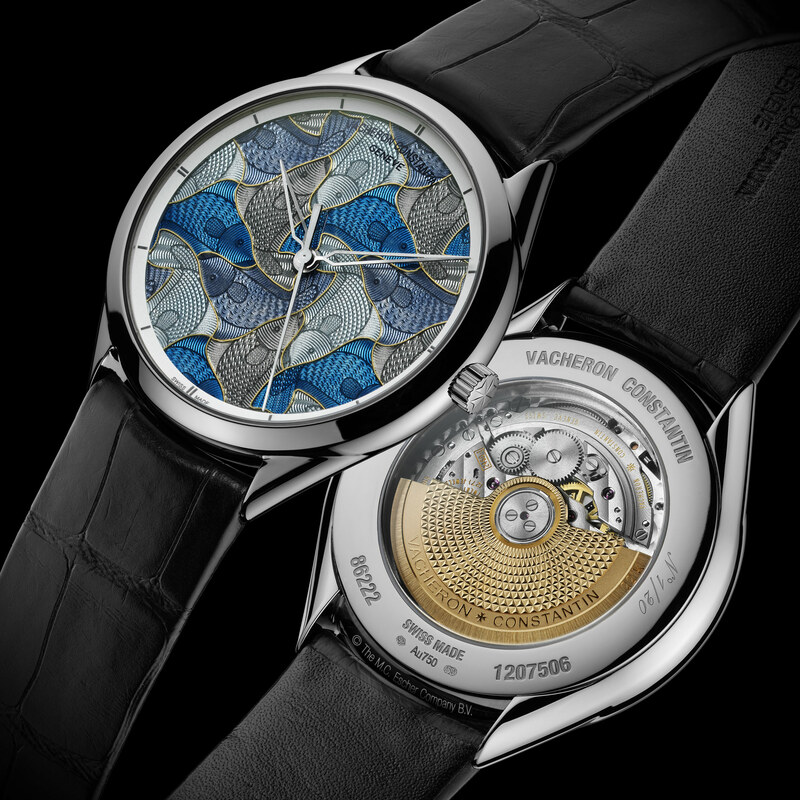 The cases are all 40mm 18kt white gold and all are powered by Vacheron's workhorse cal. 2460. All three dials are engine-worked under enamel. In addition the dove dial is set with small diamonds for one of the birds and the seashells have a hand-envraved overlay. That is how you do a 2012 watch! 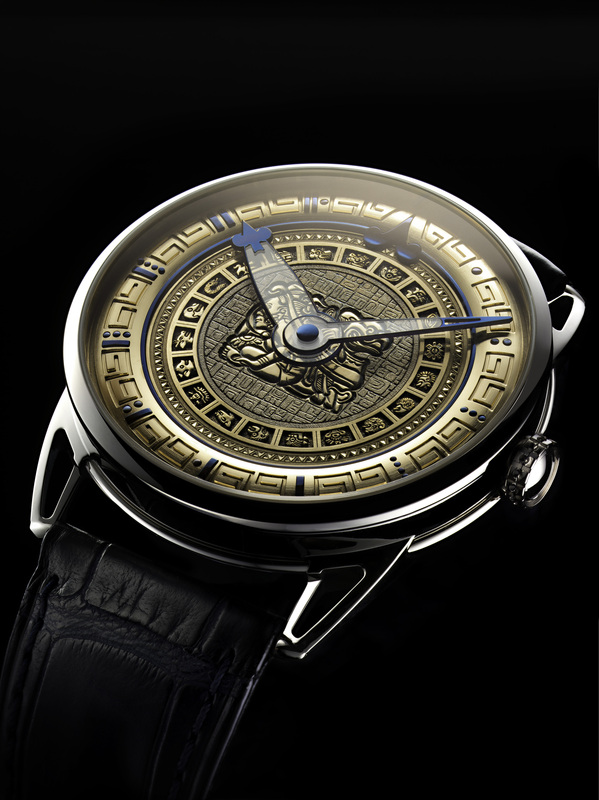 Though not the first Mayan-Apocalypse(if you insist) themed watch, the recent release from DeBethune (previously mentioned)sets an extremely high bar for the rest of the competition, as one might have expected. 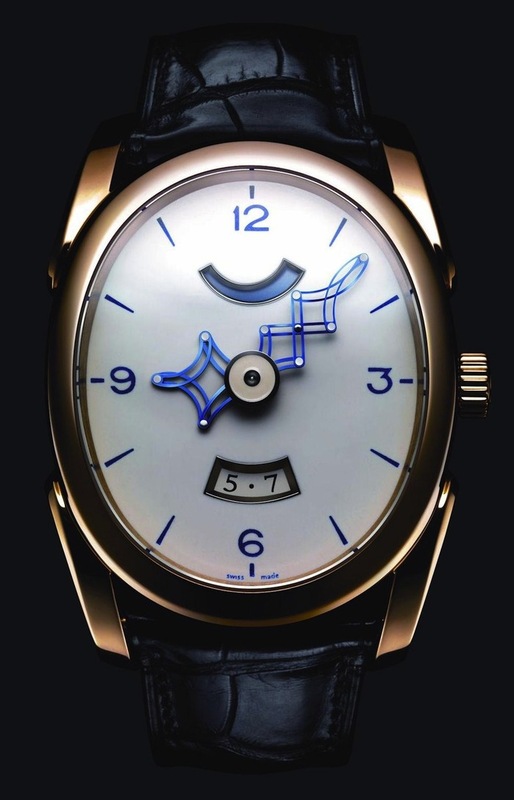 The 12-piece edition has a solid gold dial hand-engraved by Michèle Rothen and inlaid with the 31 flame-blued steel bits which form the numerals. The chapter ring displays the numerals of Mayan numbering system with the inner ring showing the 20 glyphs of divinities, animals and sacred objects representing the various days of the calendar. 2012 represents the end of the "Long Count" sequence, and the center of the dial depicts the baktun, a glyph for a time-period, and used in particular for calculating the "Long Count" and comprising 144,000 days. The hands are made with one of DeBethune's unusual techniques, blued-steel wrapped around sapphire centers. Power comes from a DB Cal. 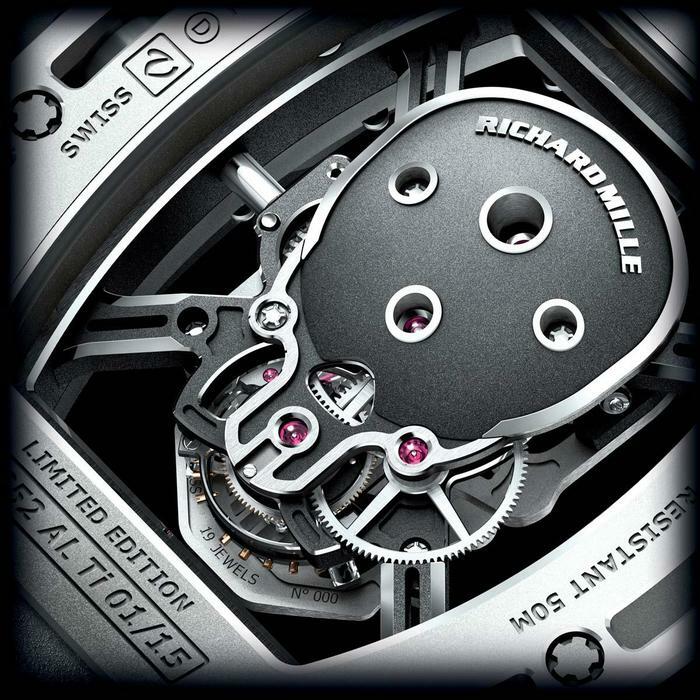 2005, a 6-day manual-wound movement with 29 jewels and the case is 18k white gold. 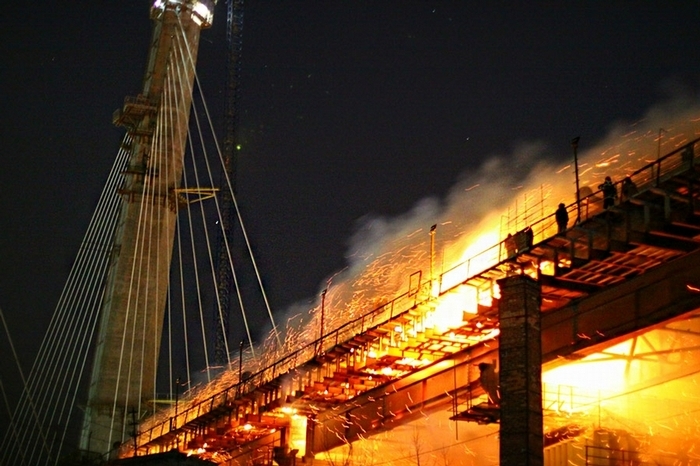 And a distance shot, showing the scale of both the bridge and the fire. 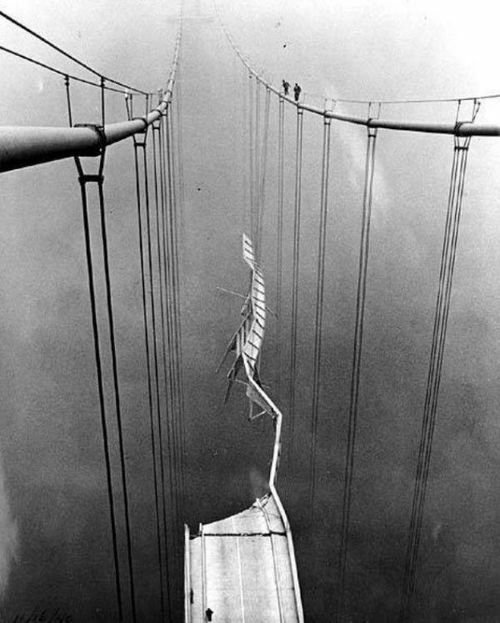 And a post-failure picture of the Tacoma Narrows bridge that I had never seen before, in a large collection of early 20th century (but going as late as WWII) failures caught on film. 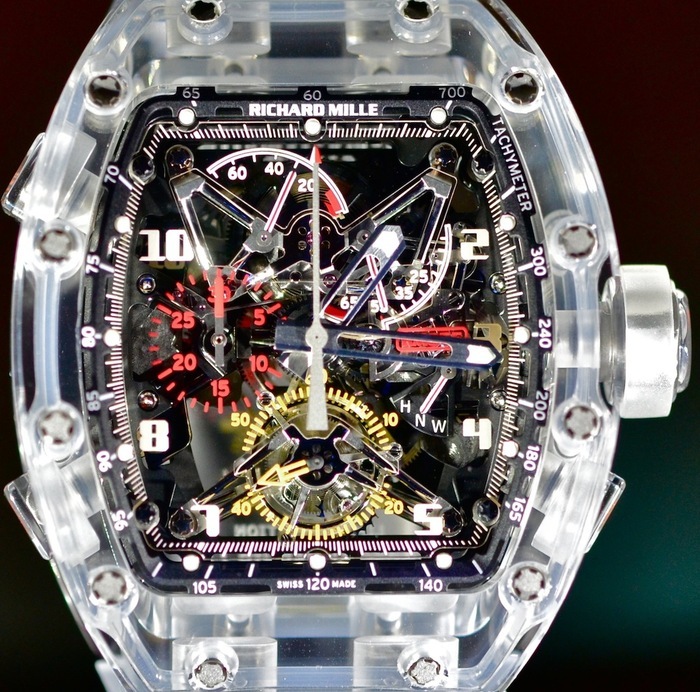 Geneva's Musée d'Art et d'Histoire as opened a new special exhibit "Watchmaking in Geneva. 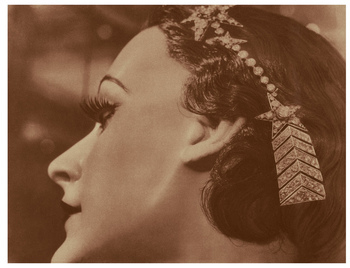 The Magic of Craftsmanship, Treasures of Gold and Enamel", from December 15th 2011 to April 29th 2012. One of the sponsers was Vacheron Constantine and they're running a concurrent smaller exhibit, "Watches with special displays... various ways of telling the time" from December 15th 2011 to January 22nd 2012. One of the more interesting pieces from this exhibit is a early 20th century piece using the Bras en l'air method, where the arms of the figure lift to point to the current time when the button on top is pressed. 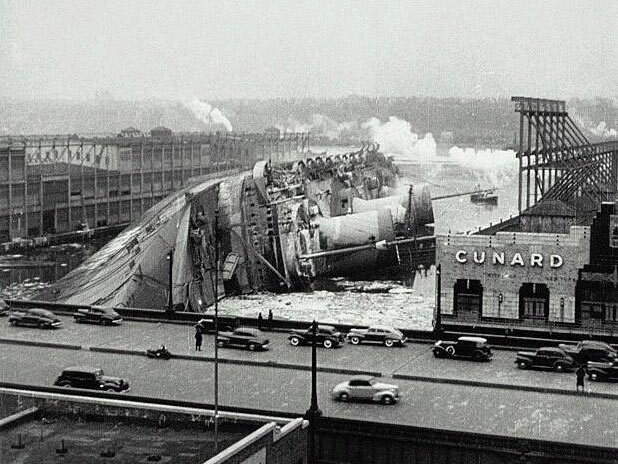 This one, in particular is both an excellent example of that complication and the quaint, pervasive racism of the time. 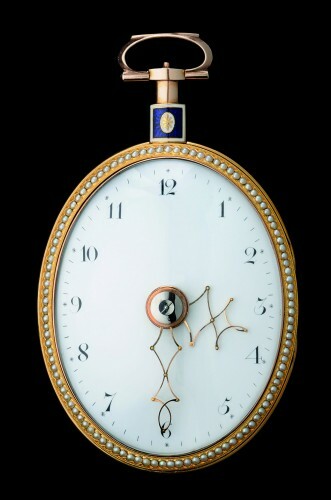 One of the more recognizable pocket-watches in the Musée d'Horlogerie in Le Locle is an oval piece by Vardon & Stedmann, a pair of British watchmakers from approx 1800. 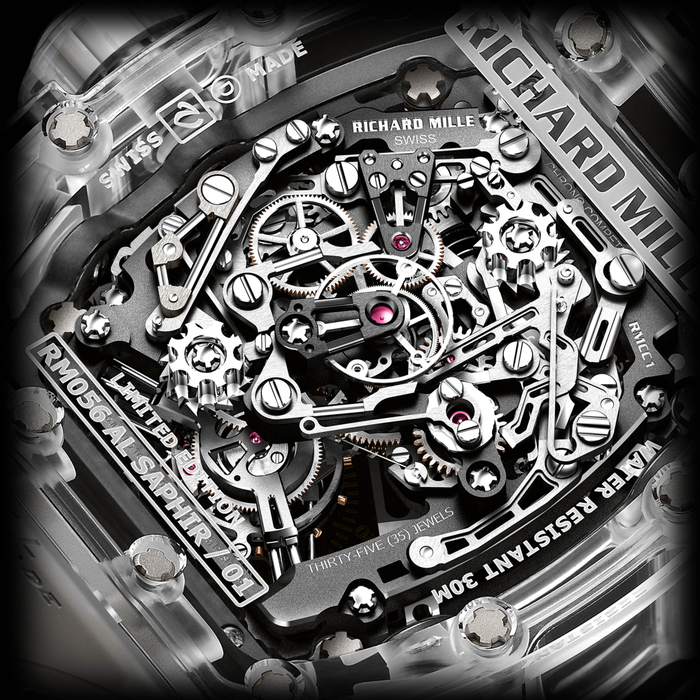 Driven by a cam hidden above the center pinion, the hands expand and contract to follow the outline of the case. 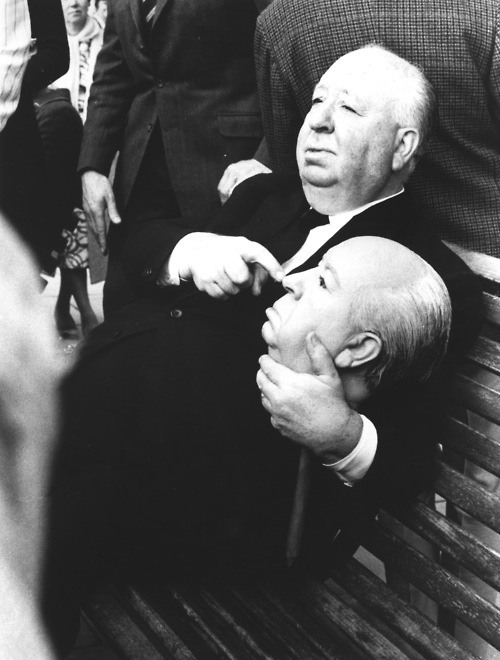 If everybody else has too much sense! 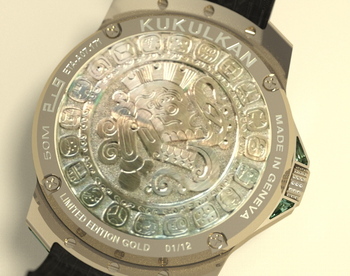 219 (the actual name of the brand) has released the Kukulcan GMT, a watch 'celebrating' the end of the Mayan calendar cycle in 2012. 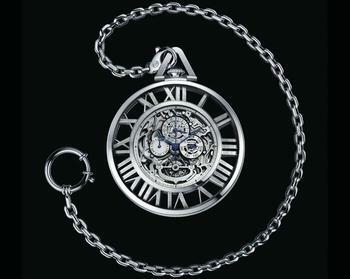 Jean-Claude Sabrier has worked in the world of antique watches since 1960, first as an antiques dealer, then as a consultant for both the French government, the Musee des Arts et Metiers (previously mentioned) and the department of Justice, and the SWATCH group, notably the Breguet museum collection. 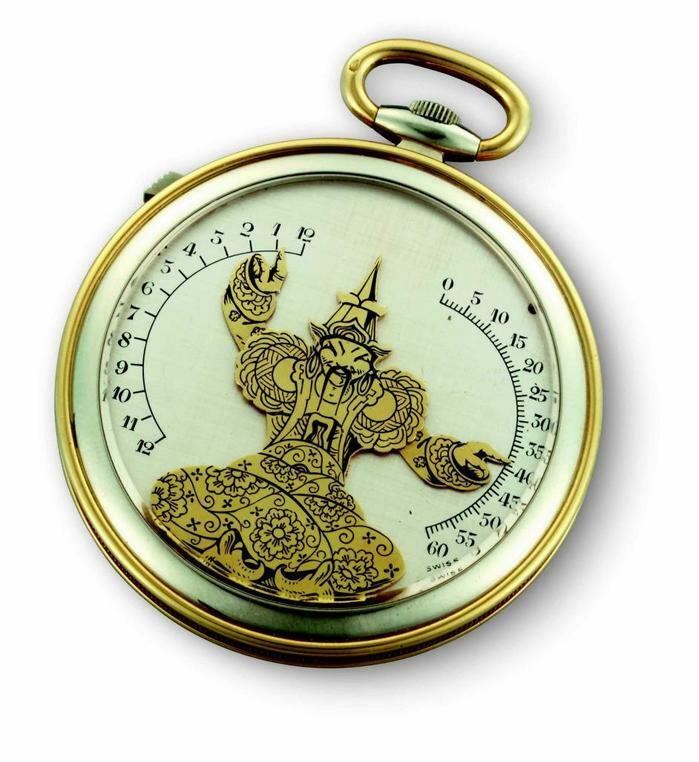 He's recently published a book on the history of the self-winding (automatic) watch , starting with it's origins in the 1760s, which will be available not-soon-enought (March, 2012). For those interested, there's an excerpt in this month's VOX Magazine, published by Antiquorum, though the online Flash-based reader is a bit sucky, the piece begins on page 34. 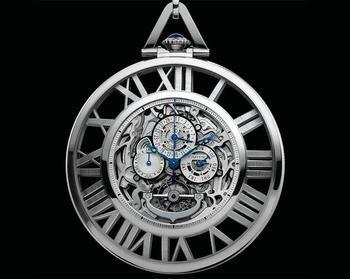 More pre-SIHH watches from Cartier with silly long names(see the Rotonde Minute Repeater Flying Tourbillon), this time the "Grand Complication Skeleton Pocket Watch", which is exactly what it sounds like. Despite the press release referring to the movement as a "manual-wind Cartier in-house caliber 9436 MC with 37 jewels, 21,600 vph and a power reserve of 8 days", it is the same Renaud et Papi caliber they use for some grand-complication each year, this time as a pocketwatch. 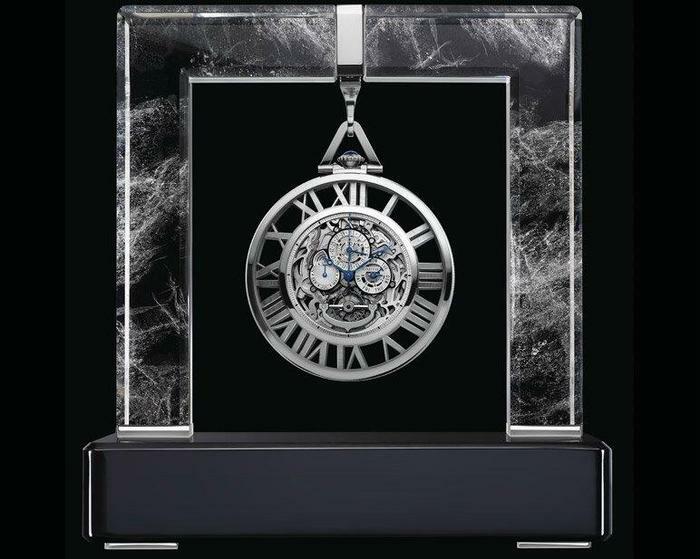 The real artistry from Cartier is in the white gold case, which has the skeletonized roman numerals attaching the movement to the edge, even hiding the correctors for the QP. 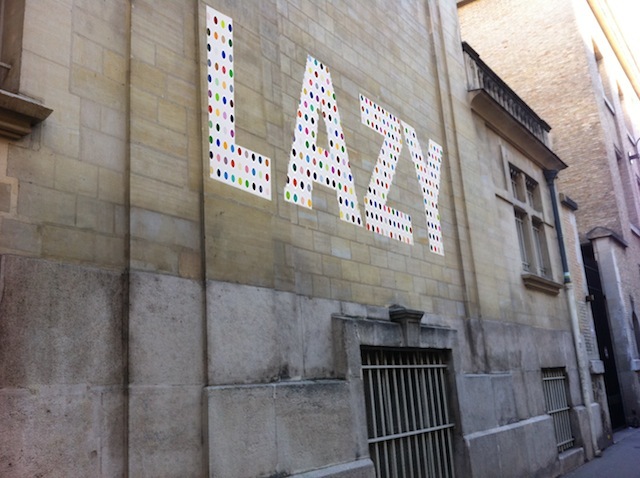 The numerals are in the clear Cartier serif font, and really well finished (see live pics from SJX over at thePurists). The sides of the case are a nicely executed chevron pattern and the crown/pusher for the chrono is the current Cartier standard, with beads and a blue sapphire cabochon on top. At 59mm in diameter and a full 1/4 lb, it's not going to be an easy piece to carry, so Cartier includes a desk stand of rock crystal on an onyx base. The design is somewhat of an homage to their Mystery Clocks(see previous post) from the beginning of the 20th century. 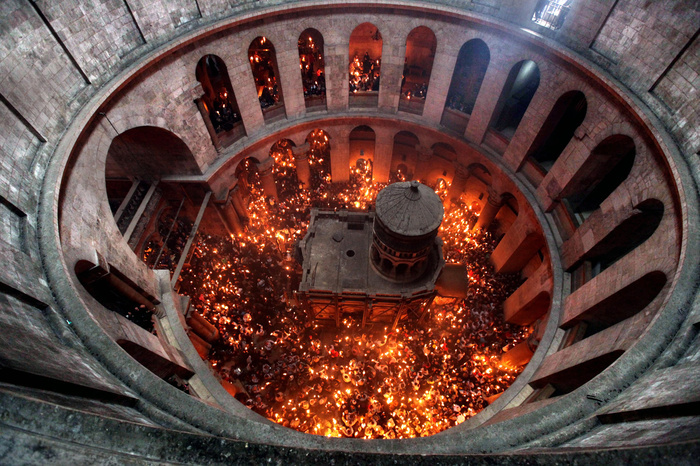 A view from the upper rotunda of the Church of the Holy Sepulchre, looking down on the Miracle of the Holy Fire the Saturday before Orthodox Easter. 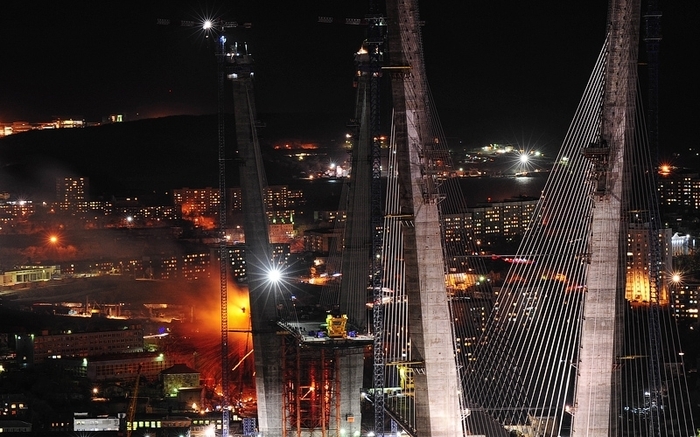 From Time's Year in Photographs, 2011.